Author or co‑author of over 200 articles and 15 books on strength-based interventions with challenging youth with translations in multiple languages. Book titles include: The Drive to Thrive, Deep Brain Learning, The Resilience Revolution, Reclaiming Youth at Risk, Reclaiming Our Prodigal Sons and Daughters, Positive Peer Culture, and The Other 23 Hours. Has trained professionals in 20 nations in fields of education, treatment, child and youth care, and juvenile justice. With colleagues developed a full range of practical, research-grounded courses extending the Circle of Courage model of positive youth development. These include Connecting with Kids in Conflict, Building Resilient Families, Positive Staff and Peer Cultures, and Transforming Trauma into Resilience. Served as a practitioner expert member of the Coordinating Council on Juvenile Justice and Delinquency Prevention in the administrations of Presidents Clinton, Bush, and Obama. Was ceremonially adopted into the Rosebud Lakota Sioux tribe and has worked with indigenous nations worldwide. Larry Brendtro and his wife Janna Brendtro established the research, publication, and training organization Resilience Resources. Janna has been research editor of all reclaiming youth publications over the past forty years. They reside near Sioux Falls, South Dakota, and have three adult children and seven grandchildren. For thousands of years, indigenous peoples worldwide have revered children as sacred beings. During that same period, most Western cultures viewed children as chattel and reared them with harsh punishment. While reformers long attempted to challenge these practices, the modern reclaiming movement dates to August Aichhorn who described relational-based strategies in his 1935 book Wayward Youth. As defined by Yochanan Wozner of Israel, reclaiming environments meet the needs of children and youth. In psychological terminology, this includes universal growth needs for attachment, achievement, autonomy, and altruism. August Aichhorn and Anna Freud trained a generation of leaders including Fritz Redl who emigrated to the U.S. prior to World War II. There, Fritz Redl and David Wineman authored the classic book, Children Who Hate. They worked with William Morse to establish the University of Michigan Fresh Air Camp as a laboratory for applied research on reclaiming challenging children and youth. Larry Brendtro was trained in this tradition and completed a doctorate at the University of Michigan. He then joined the faculty of the University of Illinois where he established graduate programs for professionals serving students with emotional and behavior disorders. Dr. Brendtro left the university to put these principles into practice at Starr Commonwealth which operated treatment programs and alternative schools at campuses in Michigan and Ohio. During fourteen years at Starr, he and colleagues co-authored three books. The Other 23 Hours focused on the transformational power of therapeutic living and learning environments and was translated into several languages. This was followed by Re-Educating Troubled Youth and Positive Peer Culture which presented strategies for enlisting young people and staff in creating climates of respect. Positive Peer Culture is now listed on the California Evidence Based Clearing House, and these three early books are still in print, now being published by Routledge. After leaving Starr, Brendtro returned to his native South Dakota as professor at Augustana University. 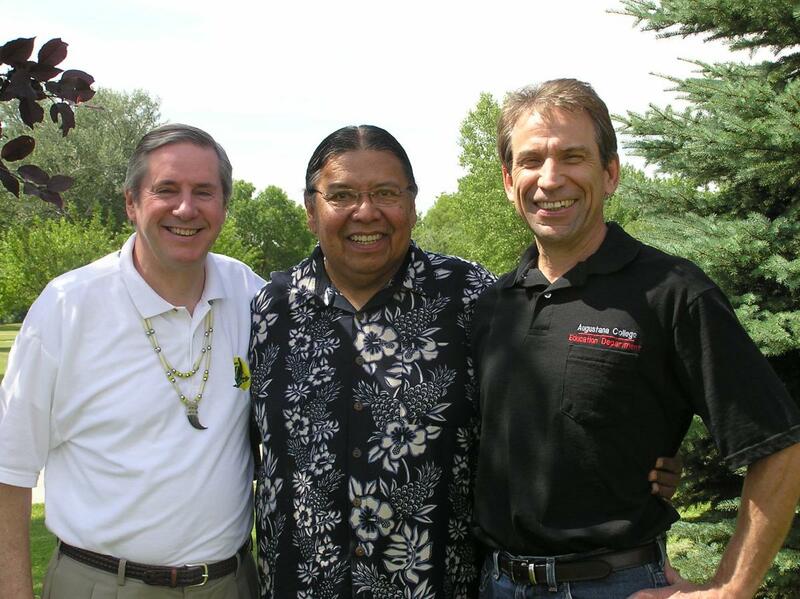 He and Augustana colleagues Martin Brokenleg and Steve Van Bockern co-authored Reclaiming Youth at Risk which introduced the Circle of Courage model, a consilience of traditional Native American child-rearing values and the science of positive youth development. That small book became a best seller for its publisher, National Education Services (now Solution Tree) and introduced reclaiming principles to professionals worldwide. Larry Brendtro and Nicholas Long established the journal Reclaiming Children and Youth to publish research and practice wisdom related to the Circle of Courage. Fred Tully, founder of the Black Hills Children’s Home, invited Augustana to offer graduate degrees there and hosted the first Black Hills Seminars on Reclaiming Youth in 1994. This became an annual event, drawing professionals from throughout North America and beyond. The year 2018 marks the 25th year for the Black Hills Seminars. A key leader in the reclaiming youth network has been Mark Freado who brought the strength-based principles of the Re-ED model for troubled children developed by Nicholas Hobbs and has been at the forefront of Life Space Crisis Intervention. Through the reclaiming book, journal, and seminars, a world-wide synergy developed. Lesley du Toit brought this model to South Africa and piloted the Response Ability Pathways [RAP] training curriculum. European satellites were developed in Germany, Ireland, Belgium, Hungary, and Switzerland. In Australia, this reclaiming model was promoted by Youth Off the Streets of Sydney, Circle Seminars and Edith Cowan University in Perth, and Allambi Care in Newcastle. New Zealand colleagues formed a professional development trust and extended training throughout the Pacific Islands. And because of its Native roots, the Circle of Courage attracted the interest of indigenous peoples from many cultures. Over a period of two decades, many schools and treatment programs have embraced the Circle of Courage model. It was applied to faith-based programs in juvenile justice by Scott Larson and generated books on resilience. The Circle of Courage was the early prototype for positive youth development as documented by Wayne State University researcher William Jackson. Under the leadership of Cathann Kress, the Circle of Courage was adopted as the “4-H Essentials of Youth Development” by this, the world’s largest youth organization. Subsequently, researchers from Tufts University received major funding to document the effectiveness of these principles, but, in the process, took the liberty to rename Circle of Courage concepts with synonyms called the 5 C’s. In spite of this alliterative relabeling, the Circle of Courage presaged other models as noted by Maurice Elias and colleagues in the Handbook of Social and Emotional Learning. 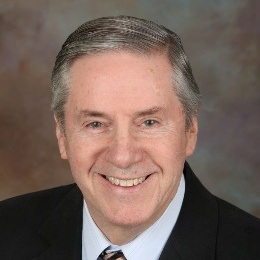 In 2012, Dr. Brendtro returned to Starr Commonwealth as Dean of the Starr Global Learning Network and chief psychologist in Starr’s doctoral internship program. For a time, Starr also operated the South Dakota-based Reclaiming Youth International directed by Mark Freado. However, in 2015, facing financial challenges, Starr Commonwealth was no longer able to continue its support for the South Dakota initiatives. While Starr continues to provide Circle of Courage and RAP training, key leaders in the reclaiming movement are developing new collaborations to insure the future of this strength-based model. Mark Strother and colleagues at Cal Farley Boys Ranch developed The Drive to Thrive which integrates Circle of Courage values with neuroscience and trauma research. Howard Bath of Allambi Care Australia and John Seita of Michigan State University co-authored The Three Pillars of Care: Trauma and Resilience in the Other 23 Hours. Mark Freado and Larry Brendtro are now providing training in the Planning Restorative Outcomes (PRO) model of strength-based assessment. J. C. Chambers and Mark Freado have developed The Art of Kid Whispering with strategies for reaching adult-wary youth. Deborah Espiner and Diane Guild of New Zealand created the Rolling with Resilience curriculum for strengthening families. James Anglin of the University of Victoria in Canada is joining with Larry Brendtro in authoring a book on historic truths from pioneers in child and youth care. Leon Fulcher and Thom Garfat continue their leadership in the International Child and Youth Care Network founded by Brian Gannon which links to professionals worldwide. Many other colleagues continue to advance the vibrant reclaiming movement, dedicated to the principle that there are no disposable kids. Anglin, J. (2015). Kids in pain. In L. Brendtro & M. Mitchell (Eds. ), Deep brain learning: Evidence-based essentials in education, treatment, and youth development (pp. 109-111). Albion, MI: Starr Commonwealth. Anglin, J., & Brendtro, L. (In press). Enduring wisdom: Towards a comprehensive history of professional child and youth care. Scottish Journal of Residential Child Care. Bath, H., & Seita, J. (2018). The three pillars of care: Trauma and resilience in the other 23 hours. In press. Brendtro, L., Brokenleg, M., & Van Bockern, S. (1990/2002). Reclaiming youth at risk: Our hope for the future. Bloomington, IN: Solution Tree. Brendtro, L., & du Toit, L. (2005). Response Ability Pathways: Restoring bonds of respect. Cape Town, South Africa: PreText. Brendtro, L., & Freado, M. (2018). Planning Restorative Outcomes: Transforming assessment. In Press. Brendtro, L., & Larson, S. (2006). The resilience revolution. Bloomington, IN: Solution Tree. Brendtro, L., & Mitchell, M. (2015). Deep brain learning: Evidence-based essentials for education, treatment, and youth development. Albion, MI: Starr Commonwealth. Brendtro, L., & Ness, A. (1983). Re-educating troubled youth. New York, NY: Routledge. Brendtro, L., Ness, A., & Mitchell, M. (2005). No disposable kids. Bloomington, IN: Solution Tree. Brendtro, L., & Shahbazian, M. (2004). Troubled children and youth: Turning problems into opportunity. Champaign, IL: Research Press. Brendtro, L., Steele, W., & Freado, M. (2017). Beyond community and school violence: Providing environments where children thrive. In N. Phillips & S. Straussner (Eds.). Children in the social environment: Linking social policy and clinical practice. Springfield, IL: Charles C. Thomas. Brokenleg, M. (2012). Turning cultural trauma into resilience. Reclaiming Children and Youth, 21(3), 9-13. Brokenleg, M. (2016). Twenty-five years of learning. In CF Learning (Ed. ), A thousand fires burning: Reclaiming youth at risk (pp. 7-8). Lennox, SD: CF Learning. Chambers, J., & Freado, M. (2015). The art of kid whispering: Reaching the inside kid. Sioux Falls, SD: Authors. Elias, M., Leverett, L., Duffell, J., Humphrey, L., Stepeney, C., & Ferrito, J. (2015). Integrating SEL with related prevention and youth development approaches. In J. Durlak, C. Domitrovich, R. Weissberg, & T. Gullotta (Eds. ), Handbook of social and emotional learning (pp. 33-49). New York, NY: Guilford Press. Espiner, D., & Guild, D. (2017). Rolling with Resilience: Building family strengths. Auckland, New Zealand: Connecting with Courage New Zealand. Foltz, R., Brendtro, L., & Mitchell, M. (2015). The vital balance. In L. Brendtro & M. Mitchell (Eds. ), Deep brain learning: Evidence-based essentials in education, treatment, and youth development (pp. 96-112). Albion, MI: Starr Commonwealth. Freado, M. (2007). Life Space Crisis Intervention: I can’t hold it in forever. Reclaiming Children and Youth, 15(4), 225-233. Freado, M. (2010). Measuring the impact of Re-ED. Reclaiming Children and Youth, 19(2), 28-31. Freado, M. (2016). Transforming assessment. In CF Learning (Ed. ), A thousand fires burning: Reclaiming youth at risk (pp. 30-35). Lennox, SD: CF Learning. Fulcher, L., Gannon, B., & Garfat, T. (2015). The International Child & Youth Care Network (www.cyc-net.org). In L. Brendtro & M. Mitchell (Eds. ), Deep brain learning: Evidence-based essentials in education, treatment, and youth development (pp. 173-174). Albion, MI: Starr Commonwealth. Hobbs, N. (1994). The troubled and troubling child. Cleveland, OH: American Re-ED Association. Jackson, W. (2014). The Circle of Courage: Childhood socialization in the 21st Century<.i>. Doctoral dissertation. Detroit, MI: Wayne State University. James, A., & Lunday, T. (2014). Native birthrights and indigenous science. Reclaiming Children and Youth, 22(4), 56-58. James, S. (2011). What works in group care: A structured review of treatment models for group homes and residential care. Child and Youth Services Review, 33(2), 308-321. Kreisle, B. (2008). Hier läuft alles irgendwie anders [Here everything is somehow different]. Berlin, Germany: Pro-Business. Kress, C. (2014). Transformational education: The 4-H legacy. Reclaiming Children and Youth, 23(3), 5-9. Laursen, E. (2010). The evidence base of Positive Peer Culture. Reclaiming Children and Youth, 19(2), 37-43. Laursen, E. (2014). Respectful youth cultures. Reclaiming Children and Youth, 22(4), 48-52. Long, N., Wood, M., & Fecser, F. (2001). Life space crisis intervention: Talking with students in conflict. Austin, TX: ProEd. Martin, L., & Martin, A. (2012). Small stories: Reflections on the practice of positive youth development. Albion, MI: Starr Commonwealth. McDonald, T. (2013). Classroom management: Engaging students in learning. Melbourne, Australia: Oxford University Press. Morse, W. (2008). Connecting with kids in conflict: A life space legacy. Sioux Falls, SD: Reclaiming Children and Youth & Starr Commonwealth. Redl, F., & Wineman, D. (1951). Children who hate. Glencoe, IL: Free Press. Riley, C. (2015). Growing great kids. Sydney, Australia: HarperCollins Publishers. Steinebach, C., Jungo, D., & Zihlmann, R. (2013). Positive psychologie in der praxis: Anwendung in psychotherapie, beratung, und coaching [Positive psychology in practice: Application in psychotherapy, counseling, and coaching.] Weinheim, Deutschland: Beltz. Strother, M., Maikoetter, M., Freado, M., & Brendtro, L. (2016). The drive to thrive: Lighting the fire. In CF Learning (Ed. ), A thousand fires burning: Reclaiming youth at risk (pp. 39-51). Lennox, SD: CF Learning. Trieschman, A., Whittaker, J., & Brendtro, L. (1969). The other 23 hours: Child-care work with emotionally disturbed children in a therapeutic milieu. New York, NY: Routledge. Tully, F. (2016). The roots of reclaiming youth. In CF Learning (Ed. ), A thousand fires burning: Reclaiming youth at risk (pp. 9-11). Lennox, SD: CF Learning. Van Bockern, S. (2011). Intentional schools: Living in the moment. Reclaiming Children and Youth, 20(1), 6-9. Van Bockern, S. (2016). Schools that matter. In CF Learning (Ed. ), A thousand fires burning: Reclaiming youth at risk (pp. 18-21). Lennox, SD: CF Learning. Van Bockern, S., & McDonald, T. (2012). Creating Circle of Courage schools. Reclaiming Children and Youth, 20(4), 13-17. Vorrath, H., & Brendtro, L. (1985). Positive peer culture. New York, NY: Routledge. Walsh, S. (2016). Reclaiming youth down under. In CF Learning (Ed. ), A thousand fires burning: Reclaiming youth at risk (pp. 36-38). Lennox, SD: CF Learning. Wozner, Y., & Beker, J. (1986). Residential group care in community context: Lessons from the Israeli experience. New York, NY: Routledge. Note: All product names, trademarks, service marks, trade names, and logos are the property of their respective owners.